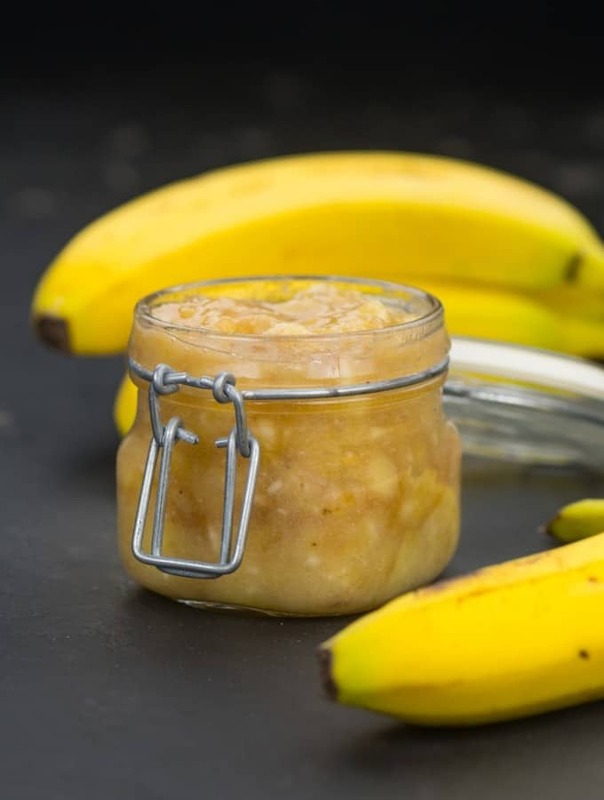 Use your pressure cooker or instant pot to get a quick, unusual Caramelized Banana Sauce. Eat it plain or enjoy it over ice cream for an unusual yet delicious banana dessert! I know, weird title but that’s literally what it was. Kinda like apple sauce, except made with bananas. I wanted to make baked plantains but I couldn’t find plantains, and then it was too hot to bake. So I thought I’d throw everything into the Instant Pot and see what happens. What happened was something that tasted very yummy with a dollop of ice-cream. Roger used no-sugar added ice cream, but feel free to use your favorite kind of ice cream to go with this, or eat it plain as I did. I could only have a taste as I still need to stay super-low carb this week, but what I tasted of it was very good. It tastes like applesauce, but with a hint of banana. The texture is thicker than apple sauce as well, and with the butter and spices in it, it was a very rich and tasty dessert. It does taste like baked, mashed plantains, but since bananas are sweeter and less starchy than plantains, it was softer-textured. Looking for more interesting dessert recipes to dry? 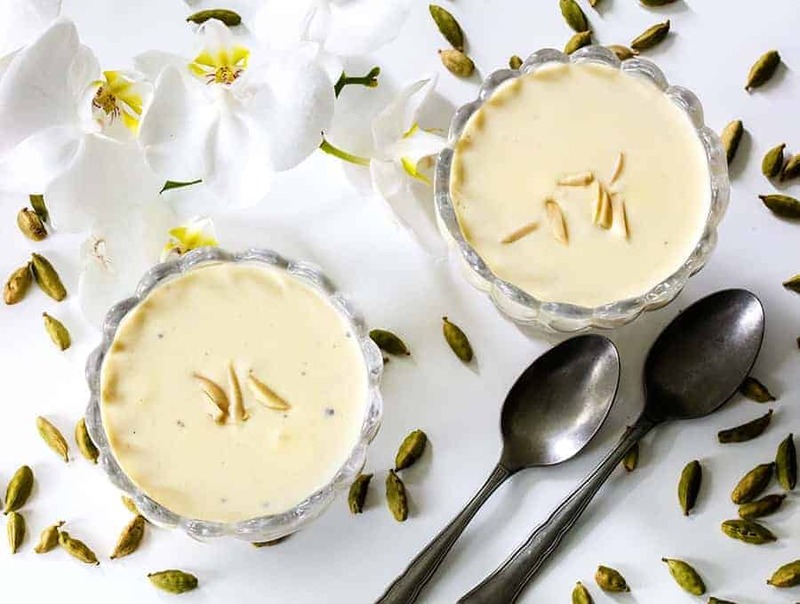 Check out my Keto Almond Phirni Kheer recipe! It’s a deliciously low carb Indian dessert recipe that you’re sure to love! 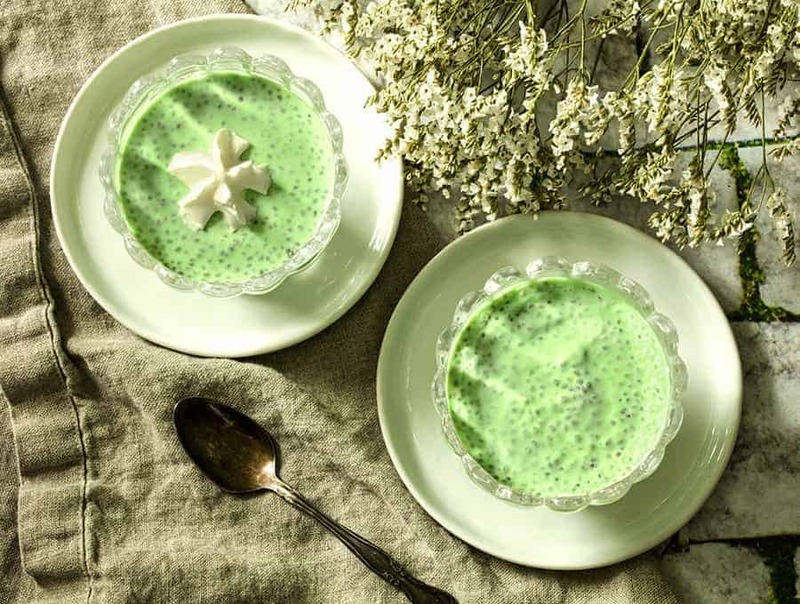 Another great dessert recipe is my Coconut Pandan Chia Seed Pudding. It’s an easy to make, no-cook and keto dessert recipe that tastes fantastic! Since it takes less than 2 minutes at pressure, you could start this right before you sit down to dinner, and have it be ready when dinner was done. This way you can serve the hot desert with some whipped cream or cold ice cream, with very little effort. 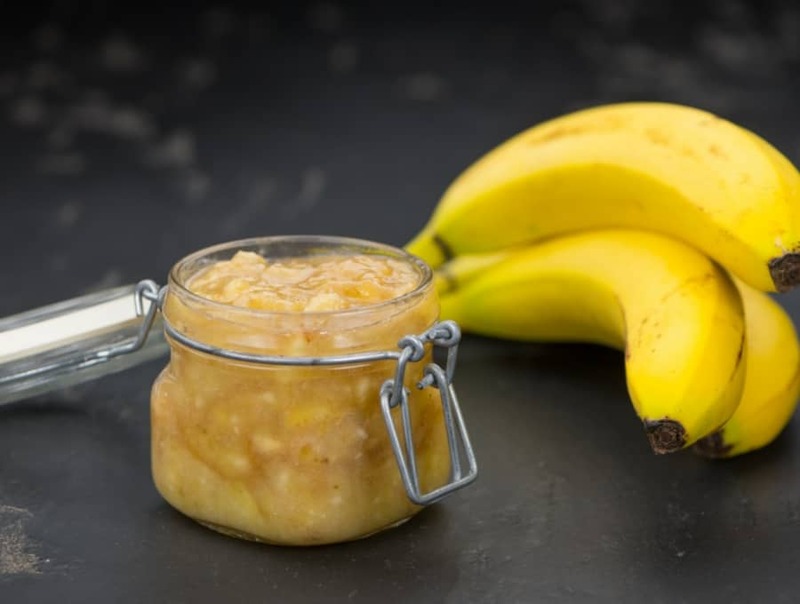 Use your pressure cooker or instant pot to get a delicious Caramelized Banana Sauce. Eat it plain or over ice cream for an unusually good banana dessert! 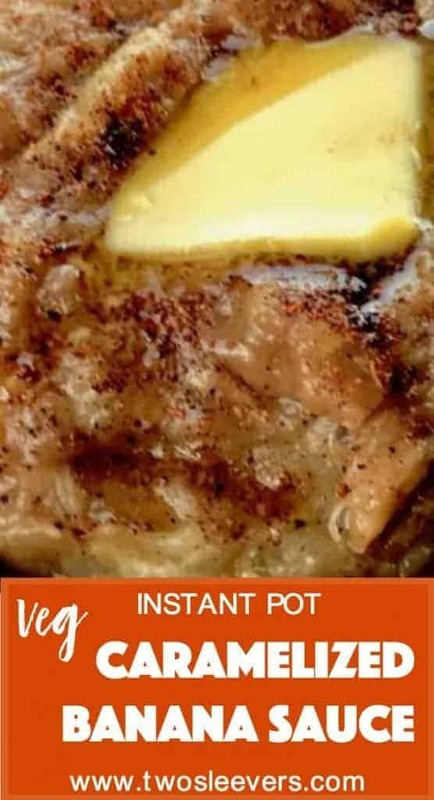 Heat your Instant Pot on Sauté, and once it is hot, add the butter and sugar, mixing well. Allow it to caramelize and for the sugar to melt most of the way. 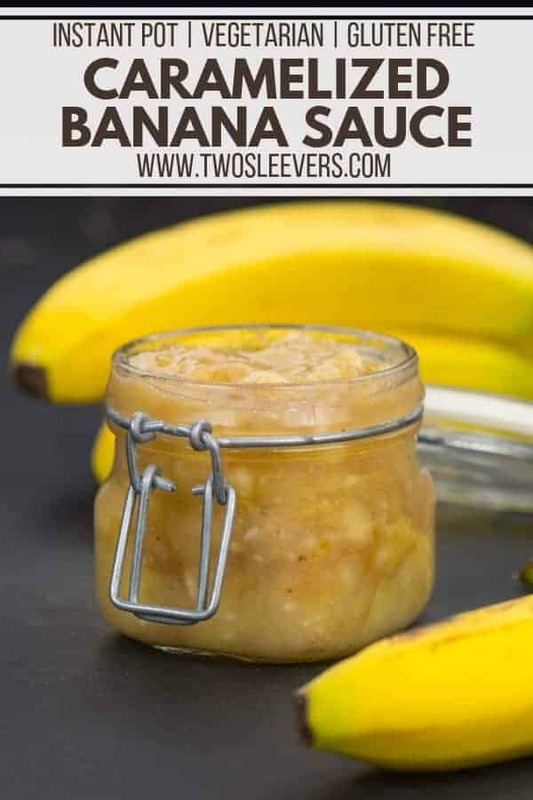 Add in the bananas, cut side down, and let them coat into the sauce, flipping to ensure the bananas are covered in the sauce. Add 1/4 c water to deglaze, being sure to scrape up anything that might be stuck in the bottom. Pour in the other 1/4 cup of water, seal the Instant Pot, and cook on low pressure for two minutes, releasing pressure quickly when done. 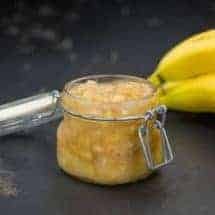 Open up the Instant Pot and gently mash the bananas to get a uniform purée. Add additional butter, sugar, or spice as needed. Wow! It looks soo delicious! I wanna try this! :))) Thank for share! I was a little worried when I opened the lid and realized they were going to be sauce, not bananas 🙂 but it worked out.